A list of places I want to go, things I want to see, things I want to do. Now some call this type of list ” a bucket list “. I call my list – “life list”. I’m not planning on leaving this earth anytime soon but I have become more aware that life is for living and the moment is now. These lists, by the way, are often started later in life and after child rearing has been completed. This is the place in life I find myself today. I try to keep my list realistic. Financially and physically realistic. My oldest daughter helped me to complete my first list item two years ago with a 19 mile bike ride through the Grand Canyon! It may sound like a simple list to some but I enjoyed those few days in Arizonia with my daughter and a memory to cherish. Some of my list items are within my own state. I live in Kansas and I can honestly say that I have not even see 1/4 of my home state. Which brings me back to my “life list”. 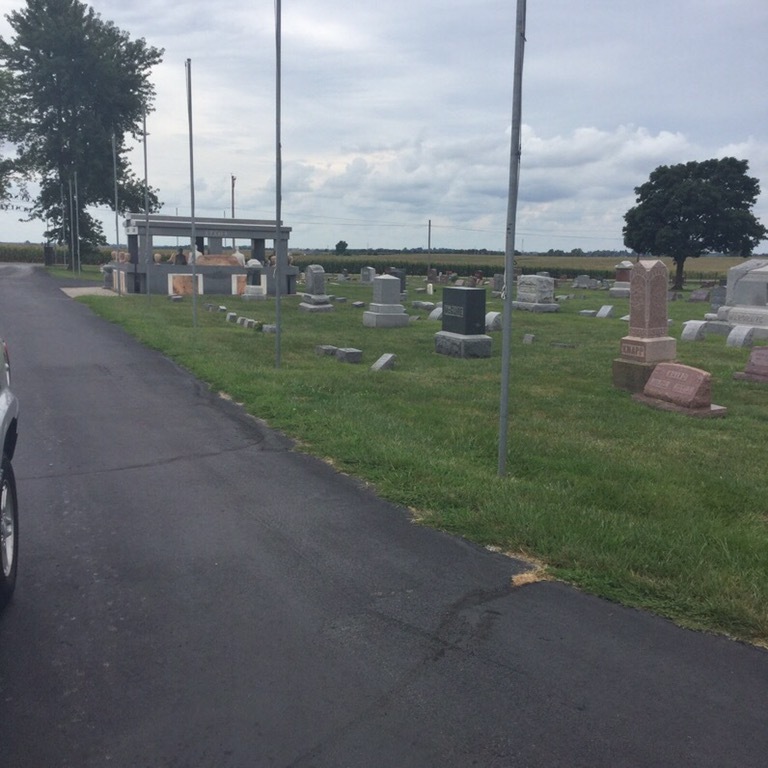 Hiawatha, KS has all of the above along with a very unique country cemetery. It’s not the cemetery itself that is unique as it is ONE very unique monument within the cemetery. 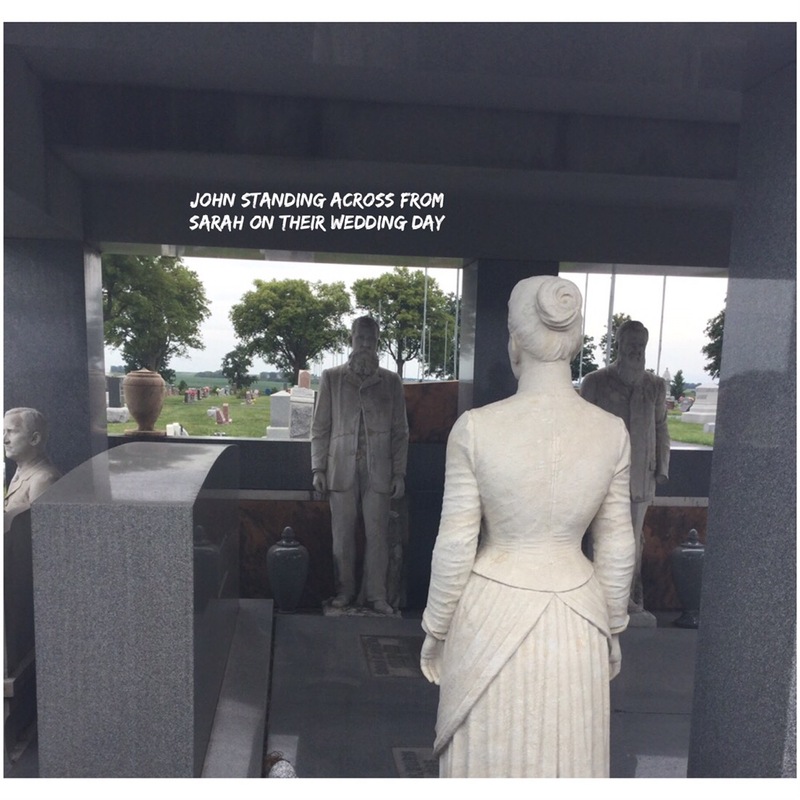 The final resting place to John & Sarah Davis tells an amazing story or I should say the monument itself tells a story. Who are John & Sarah Davis? What is their story? John and Sarah Davis were residents of Hiawatha in the early 1900’s. They were farmers as most residents of the town were at the time. 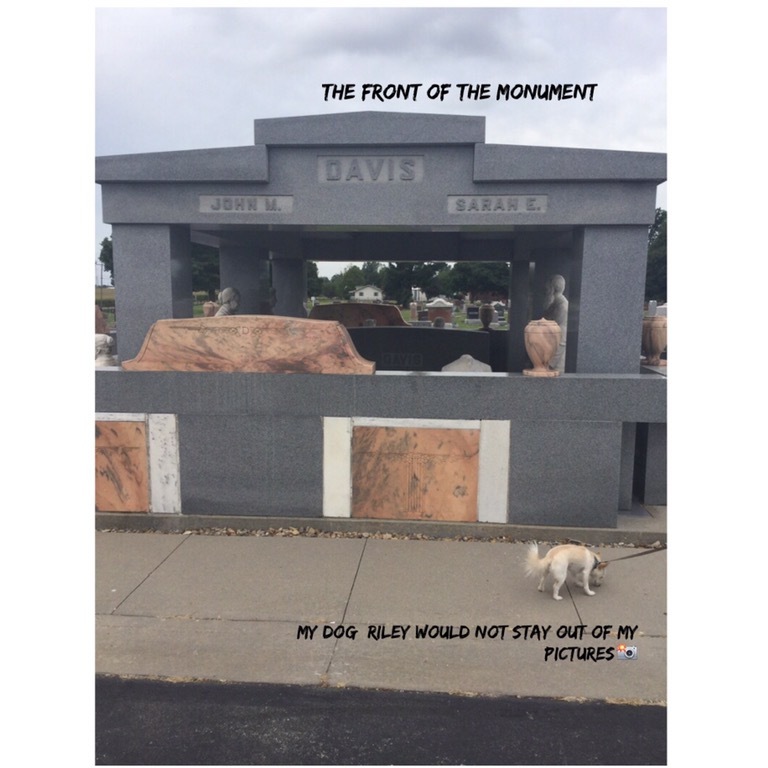 The Davis couple, childless throughout their marriage, were laid to rest in the town’s cemetery. 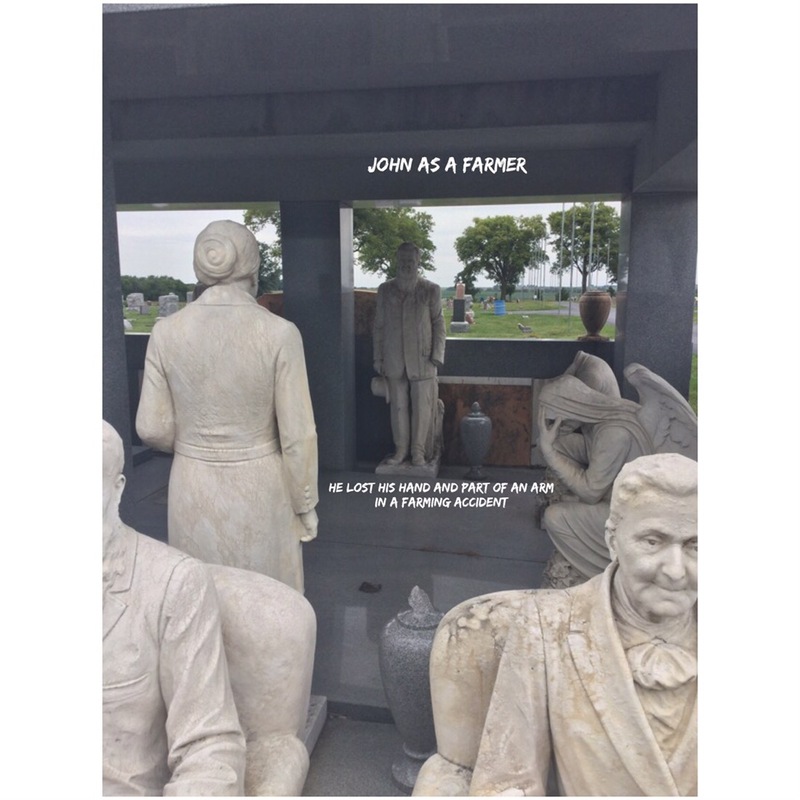 What is different about their final resting place is that John had the monument built from marble and stone imported from Italy after Sarah passed. Just by walking around it you can see the story of their lives together. That’s not the entrance to the cemetery and that’s not the caretaker shed either. 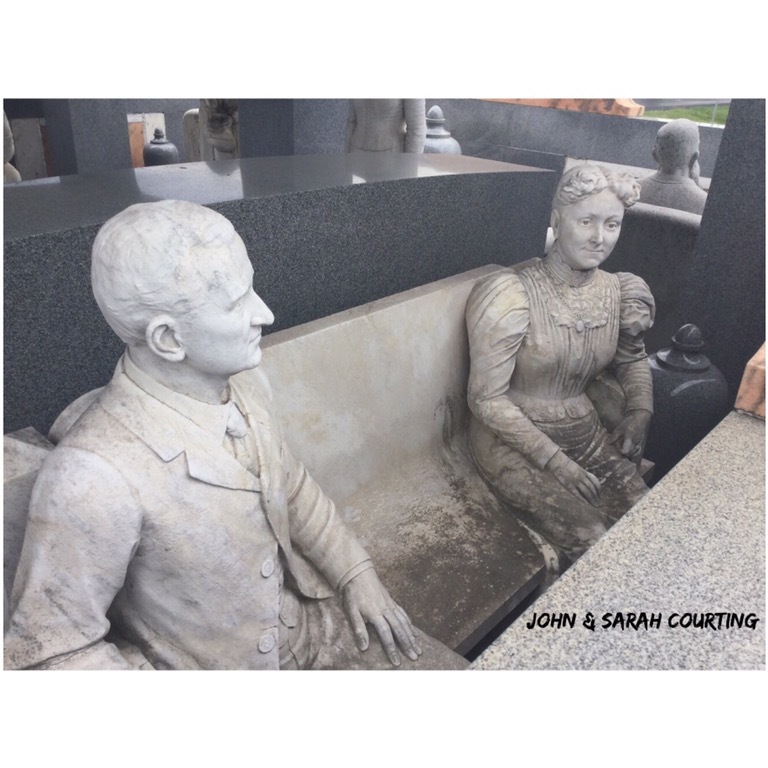 That is the final resting place for two residents of Hiawatha, KS by the names of John & Sarah Davis.